Less than a month ago, I picked up a large collection of rare 90’s inserts. I sold them off very quickly, and found the buyer reselling some of the cards that I liked out of the collection, so what did I do? I bought them back! They are real beauties. 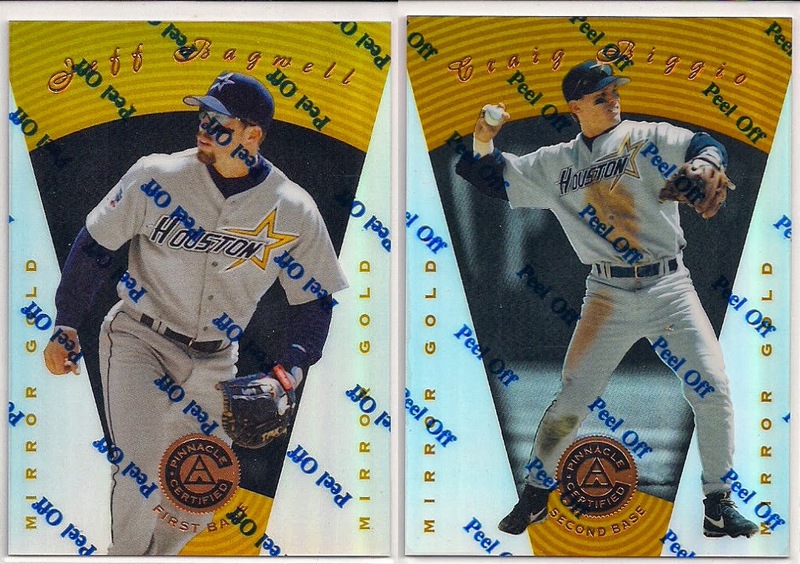 1997 Pinnacle Certified Mirror Red / Blue / Gold Jeff Bagwell and Craig Biggio’s – They are all for sale, and, cheaper than what you will find them for on ebay, so if you are interested, let me know!